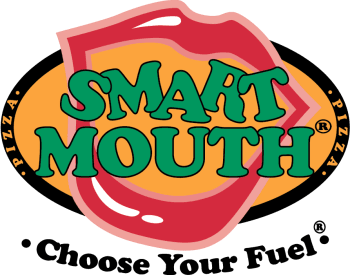 Smart Mouth® is adding new products to its offerings for the schools in our program in the 2012-2013 school year, and we’re also adding new ways for all students to share the news and earn prizes. If you’re at a school that is already offering our new and improved recipe for hot and fresh-made pizza, please let us know what you think about it. And if you’ve ever hoped that your school could offer up fresh-made hot sandwiches, be sure to let your lunchroom managers know. Watch for more details about the all new Smart Mouth® Smackers sandwiches! And also make sure you LIKE our Facebook page or follow us on twitter @smartmouthpizza to make sure you get the first word about new ways you can win with Smart Mouth®!